Roughly 90 percent of the biggest black holes in the known universe are dormant, meaning that they are not actively devouring matter and, consequently, not giving off any light or other radiation. But sometimes a star wanders too close to a dormant black hole and the ensuing feeding frenzy, known as a tidal disruption event, sets off spectacular fireworks. Astronomers from the University of Maryland and the University of Michigan are the first to document X-rays bouncing around deep within the walls of a once-dormant black hole’s newly formed accretion disk—the giant, puffy cloud of shredded star stuff circling the black hole, waiting for its turn to be swallowed up—following a tidal disruption event. 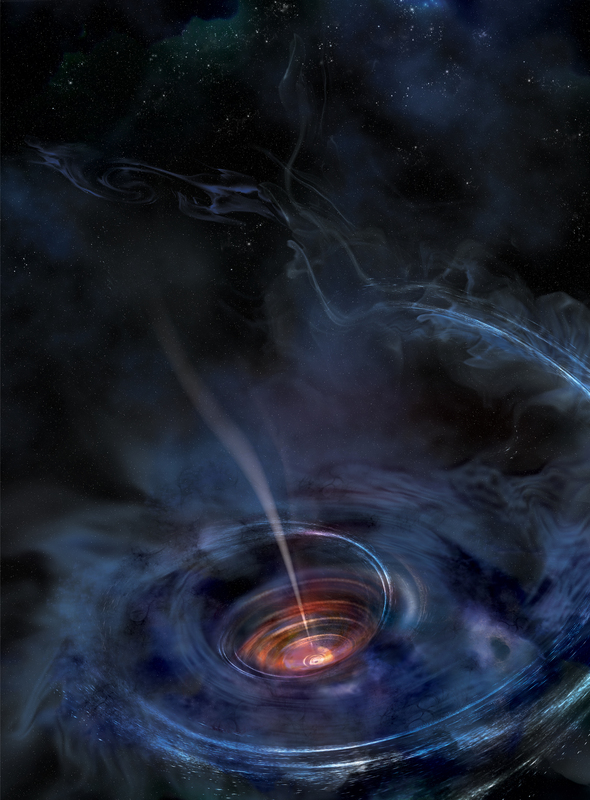 Using these data, the researchers discerned the shape and activity of the accretion disk near a supermassive black hole named Swift J1644+57. This work was supported by NASA (Award Nos. HST-HF2-51360.001-A, NAS5-26555, NNX14AF86G, NNX14AB46G and SMD-14-5451), the National Science Foundation (Award No. TG- PHY120005), the European Space Agency and the Japanese Aerospace Exploration Agency. The content of this article does not necessarily reflect the views of these organizations.